Historically, the kitchen has always served as one of the most important rooms in an American home. Initially, families gathered around the central hearth to warm their bodies and share a meal. Moving into the twentieth century, the kitchen was hidden in the back of the home. It wasn’t until after the industrial revolution and the mass production of appliances that the kitchen became a showcase for modernity and family values. To this day people are fascinated by elaborate and luxurious kitchens, and the room is still viewed as a status symbol in our modern society. Whether you are serving up food for the family or looking to entertain guests over dinner, the kitchen is often centralized in floor plans, or is incorporated into the main space of stylish, open concept homes. Some people are drawn to kitchens with elaborate cabinetry, or others to exceptional organization and conservation of space. Many even prefer the classic, streamlined steel appearance made famous in the 1950’s. Regardless of which aesthetic you prefer, every modern kitchen necessitates appliances.  Listed here are appliances that conserve space, those that are elaborate and demanding in appearance, and others that boast sleek and modern designs. Beyond appearances, these machines showcase modern technology and engineering feats, and they are all of the highest quality. Luxury does come at a cost, however, as these gadgets can go for up to $70,000 a piece. Despite the pain your pocket book will feel after indulging in any item on this list, these ten costly kitchen appliances are undeniably glamorous and bound to steal the show at any dinner party. Whether you are looking to enjoy a glass of wine on the back patio or aiming to impress house guests, this gadget is sure to impress. The Skybar Wine Preservation & Serving System is engineered with three wine chambers, making it easy to serve three wine options simultaneously and to suit the needs of all winos in your life. 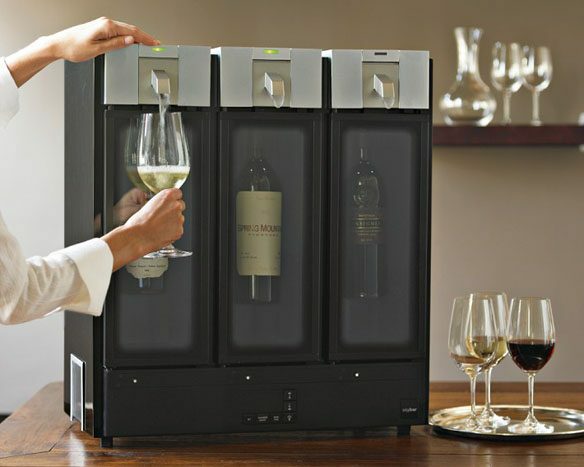 This machine chills the bottles while guests empty their glasses, and keeps the wine tasting fresh for up to ten days. Two of the most common nuances of blenders are the difficulty in cleaning them thoroughly, and of course, the racket. The Blendtec Stealth Blender provides simple clean up and is specially designed to blend quietly. 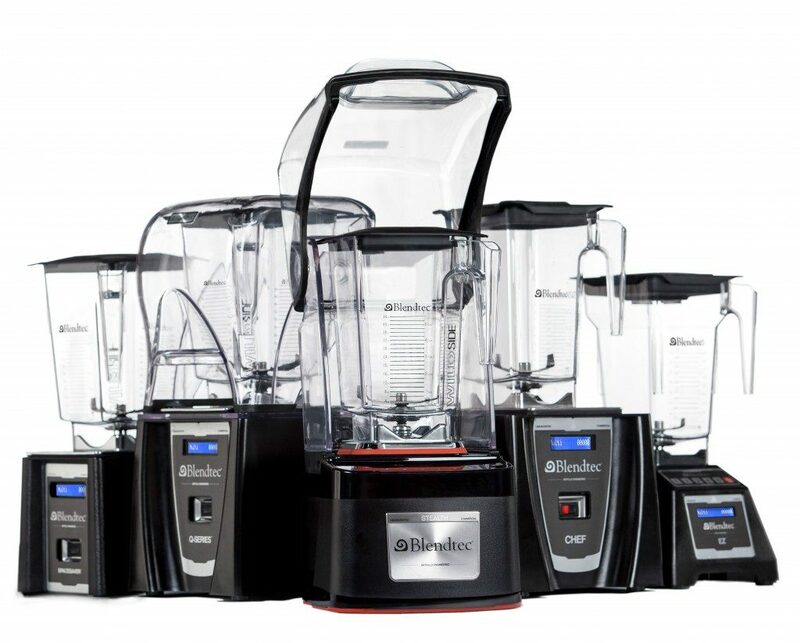 Hailed as one of the stealthiest blenders on the market, the Blendtec makes smoothies easy with six different blending options and a powerful 15 amp motor. It even comes equipped with a touch screen control panel. The only thing difficult about this modern machine is coughing up $2,300 to have it in your kitchen. This decadent appliance embodies luxury with it’s sleek and discreet stainless steel facade and temperature controlled wine housing chamber. The open glass front is equipped with subtle lighting which puts up to four wine on display. Additionally, it is operated by an interactive touch screen that combines modern technology with a simple aesthetic appeal. Beyond the classy appearance, the Davor Discovery WineStation boasts impeccable quality, as it maintains opened wine for up to two months. The Dacor Discovery WineStation is sure to be the talk of any party. The Sub-Zero Wolf Freezer Drawers might freeze your bank account, but they will certainly keep your kitchen and your food looking fresh. Specially engineered to blend into the current aesthetic of your kitchen, these visually appealing freezer drawers don’t distract onlookers the way a standard freezer might. Sub-Zero Wolf Freezer Drawers conserve space with their innovative design. They fit in walls, in kitchen islands, and alongside cabinets beneath the countertop, making it easy to achieve an open concept feel. Inside, these accessible drawers are spacious and sectioned to make organizing food easy. Consistency is key, and at the price of $8,500, the Mugnaini Wood-Fired Pizza Oven provides a quality pie every time in the comfort of your own home. This oven combines authenticity and modernity in its design. The fire is fueled by wood, and the oven is easily adapted to kitchen walls, patios, you name it. The 47 inch surface area makes family dining and entertaining easy. The best part? The Mugnaini Wood-Fired Pizza oven is also ideal for baking bread. Throw in some homemade garlic breadsticks before your gourmet pie and make it a full meal. The latest diet craze of juice fasting just got a lot easier with this ergonomic gadget. The Hammacher Juicer squeezes roughly 30 oranges a minute, producing 90 oz of freshly juiced produce. The juicer has a convenient metal chute on top that keeps fruit in que and reduces the risk of injury. Engineers at Hammacher recognize that oranges taste great both alone and in combination with other fruits. With this in mind, this $9,900 juicer also fits other fruits, such as apples and grapefruits. The Hammacher Juicer truly makes staying healthy a cinch. Do you want gourmet in-home rotisserie that tastes like a million bucks? How about $10,000 bucks? The engineers at La Cornue have created the perfect in home rotisserie to suit your needs, just not your pocketbook. The La Cornue Rotisserie comes equipped with two rotisserie spits and a fitted tray, enabling the simultaneous roasting of your choice of meats alongside peppers or other vegetables. This machine also comes with heat circulation control, making it easy to roast chicken, fish, and other meats to your liking. The Victoria Arduino Venus Century Espresso Machine is the epitome of class. This particular model was designed to honor the 100 years of Victoria Arduino’s life, from 1905-2005. Reportedly, the production of this elite machine was limited to 100 pieces, which begins to explain the $20,000 price tag. Pulling the perfect espresso shot is truly an art, which this beautiful machine masters in both taste and appearance. Open the doors and welcome the Meneghini Arredamenti Refrigerator into your home. The Meneghini Arredamenti Refrigerator makes a statement with its grand size and massive price tag of $41,000. Guaranteed to satisfy, this Italian designed refrigerator comes in flawless stainless steel, ash, and oak wood models. Streamlined in appearance and compartmentalized for easy access and storage inside, this fridge models luxury and excess down to the last drawer. It even comes with a pantry and centrally located ice dispenser. The most expensive item on this list also happens to be the smallest. Customer approved and bank account appalled, the $70,000 Sveid Custom-Made Corkscrew will take your breath away with its impeccable design and efficiency. This corkscrew is made to order out of aviation titanium, and can be modified and engraved to best fit any owner. Looking to impress a loved one with a gift neither of you will ever forget? Look no further.